High Peaks Pure Earth has translated a blogpost by Woeser written on October 18, 2011 for the Tibetan service of Radio Free Asia and posted on her blog on October 26, 2011. 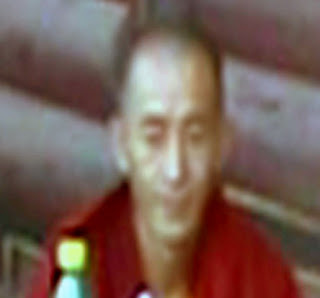 A few months later, up to yesterday, October 17, 2011, 8 cases of self-immolation occurred in a row. These included the 29 year-old monk Tsewang Norbu from Nyitso Monastery in Tawo County, Kham, the 18 year-old Lobsang Kelsang, the 18 year-old Lobsang Kunchok, the 17 year-old Kelsang Wangchuk, all monks from Kirti Monastery, the 19 year-old Choephel, the 18 year-old Khaying, the 19 year-old Norbu Dramdul who used to also be monks at Kirti Monastery but because they couldn’t bear the repressive atmosphere in the monastery, they left the monastic order. 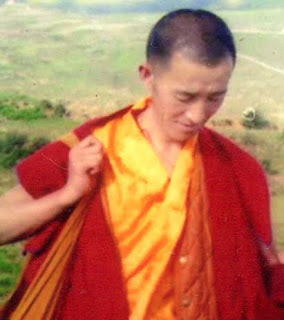 What made people feel particularly sorrowful is yesterday’s self-immolation of 20 year-old Tenzin Wangmo, she was a nun from Mamae Nunnery in Ngaba County. What does self-immolation mean? Is it the same as suicide? There have been so many Tibetan monks dying from self-immolation; is it as the so-called “Living Buddha”, the one who has sold his soul, the vice-president of the Sichuan Buddhist Association Gyalton claimed: “suicide is a very severe violation of the Buddhist doctrine, any act of self-inflicted harm is going entirely against human nature, the continuous cases of self-immolation among Tibetans are countered with incomprehension and disgust by people from all levels of society feel”. Up to the present day, the whole world still remembers how in 1948, a Vietnamese monk burnt himself in the city centre of Saigon. People revered him as a great martyr and erected a bronze statue on a public square, recreating the tragic scene of self-immolation. Also, this 67-year-old senior monk, Thich Quang Duc, left behind some last words: “before closing my eyes and moving towards the vision of the Buddha, I respectfully plead to (the) President (...) to take a mind of compassion towards the people of the nation and implement religious equality (...) I call the venerables, reverends, members of the sangha and the lay Buddhists to organise in solidarity to make sacrifices to protect Buddhism.” These are exactly the aspirations and feelings of the 10 Tibetan monks, nuns and lay people who set themselves on fire. Originally posted at High Peaks Pure Earth. Reprinted in TPR with permission.